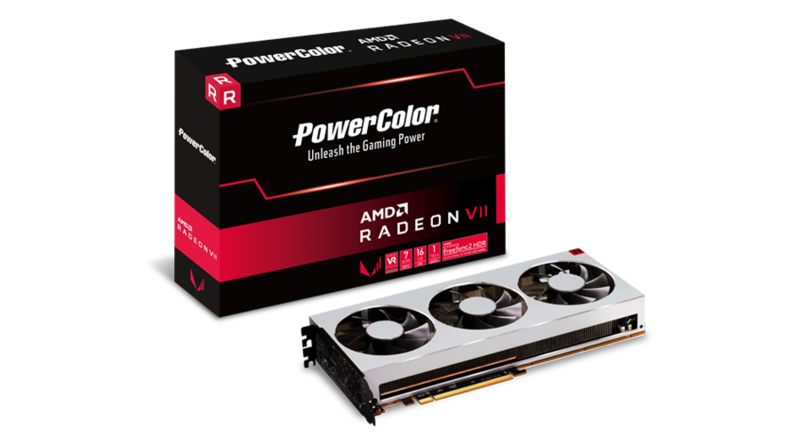 POWERCOLOR Radeon VII | Planet 3DNow! Tai­pei, Tai­wan — Febru­a­ry 7th, 2019 — TUL Cor­po­ra­ti­on, a lea­ding and inno­va­ti­ve manu­fac­tu­rer of AMD gra­phic cards sin­ce 1997, is announ­cing today the Power­Co­lor Rade­on VII, using advan­ced 7nm manu­fac­tu­ring and 16GB of HBM2 , Rade­on VII GPU takes gaming to a new level of visu­al immer­si­on and gra­phics per­for­mance. Desi­gned for the most deman­ding gaming enthu­si­asts loo­king to game on the hig­hest pos­si­ble set­tings Power­Co­lor Rade­on VII clocks up to 1800Mhz and has 2 times the High Band­width Memo­ry (HBM2) and even more impres­si­ve it more than dou­bles the memo­ry band­width to 1 TB/s over Rade­on 64 cards. *Spe­ci­fi­ca­ti­ons sub­ject to chan­ge wit­hout noti­ce. With per­for­mance increa­ses up to 29% and 36% in gaming and con­tent crea­ti­on, Power­Co­lor Rade­on VII allows users to enjoy maxi­mum set­tings for extre­me frame­ra­tes at the hig­hest reso­lu­ti­ons as well enab­ling real-time 3D and com­pu­te app­li­ca­ti­ons acce­le­ra­ti­on. 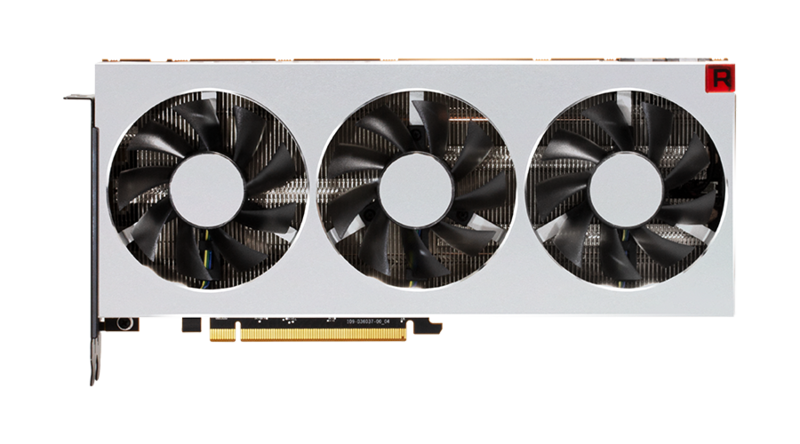 The card will be avail­ab­le from today, Feb 7th , retail­ing for 699 USD it comes with AMDs ‘Rai­se the Game Ful­ly Loa­ded’ bund­le, AMD plans to offer gamers com­pli­men­ta­ry PC ver­si­ons of the high­ly anti­ci­pa­ted Resi­dent Evil™ 2, Devil May Cry™ 5 and Tom Clancy’s The Divi­si­on® 2 with the purcha­se of an eli­gi­ble AMD Rade­on™ VII gra­phics card. TUL is a lea­ding sup­plier of AMD gra­phics cards under the Power­Co­lor brand. We offer award-win­ning pro­duc­ts based on our tech­no­lo­gy lea­ding com­pon­ents, qua­li­ty design and superb engi­nee­ring. TUL employs more than 150 talents world­wi­de, with offices in Chi­na, Euro­pe, Rus­sia and USA to sup­port over 300 chan­nel part­ners and dis­tri­bu­tors in 50 plus coun­tries.